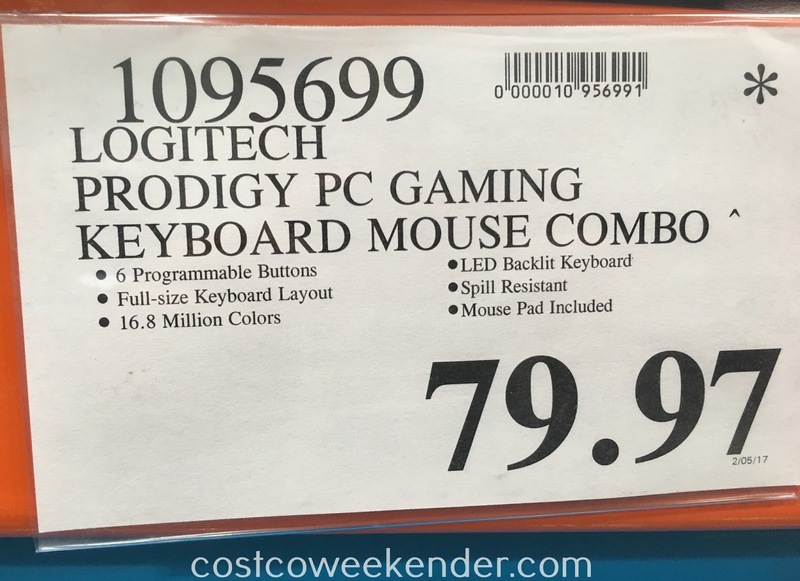 For you serious gamers out there comes the Logitech Prodigy Combo Gaming Keyboard and Mouse at Costco. 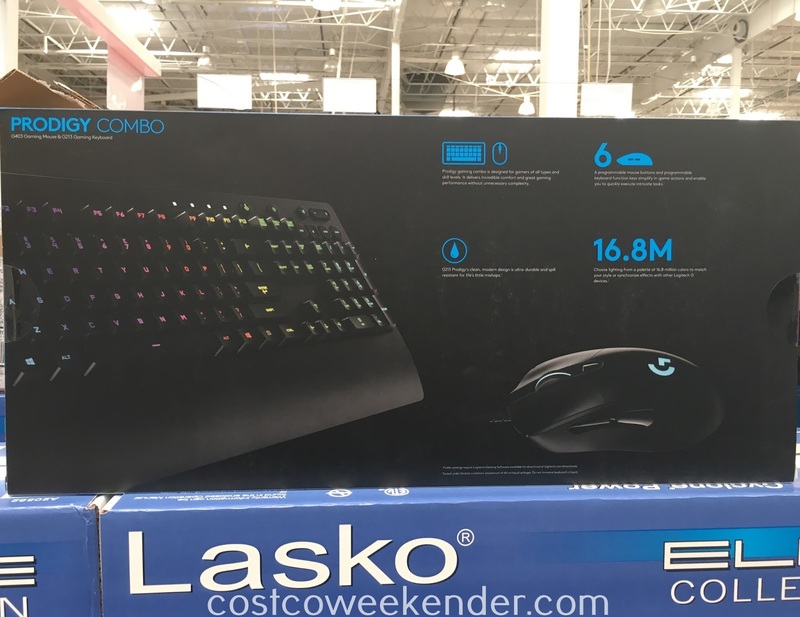 PC gaming has been a big deal, and big business, as of late. Kids and teenagers are not the only ones anymore playing video games. 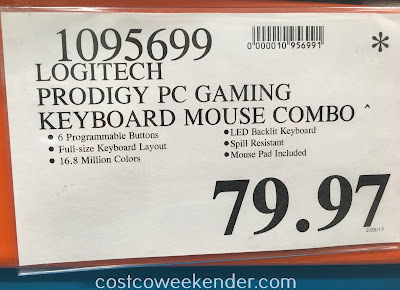 Whether you are playing Battlefield or Call of Duty: Black Ops, you will appreciate the options, comfort, and flexibility that the Logitech Prodigy Combo Gaming Keyboard and Mouse gives you. Gamers who play in the dark will also benefit from the LED backlit keyboard which allows you to choose lighting from a 16.8 million color palette to match your style. 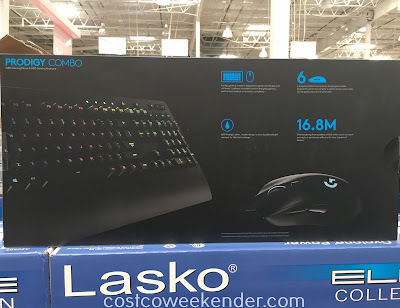 Since speed is important, having 6 programmable buttons on the G403 mouse is key so that gamers can shoot, change weapons, or reload all with a quick touch of a button. 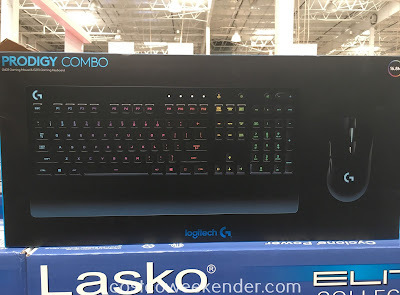 You'll also love the G213 keyboard that also comes in this combo set. To add to your gamer lifestyle, also check out the X Rocker X-Pro Bluetooth Sound Rocker Gaming Chair.